For nearly two decades after it was founded in 1973, The Roxy Theatre ruled Hollywood's Sunset Strip. Crowds flocked to the 500-capacity venue to catch legendary acts like John Lennon, Bruce Springsteen and, later, Pearl Jam. But by the turn of the 21st century, the iconic theater's image had frayed. It was bleeding money and was dark several nights a week. 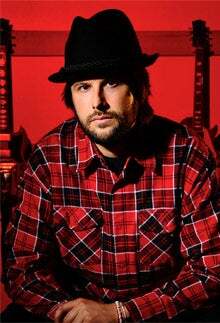 In 2006, Nic Adler took over management from his father, Lou, and dove into the then-new world of social media by turning The Roxy's homepage into a blog--a first in the live-music industry. And that's how Adler discovered what people really thought of his club. Comments to the blog were 100 percent negative: Drink prices were too high, the security staff was rude, parking was awful -- basically, it all sucked. "We couldn't ignore it," Adler says. "We found out that we'd become the scourge of the music scene." Adler hired pioneering social media consultant Kyra Reed to help figure out how to listen, communicate and build relationships on Facebook and Twitter. Their strategy started by addressing every complaint as quickly as possible. Adler became obsessed with monitoring mentions of The Roxy 24/7, even famously replacing a patron's watered-down gin and tonic -- in real time -- after spotting a complaint on Twitter. But it wasn't enough for Adler to satisfy existing fans; he wanted new ones. So he and Reed expanded the venue's online presence, trying out all the latest apps and social media services as soon as they launched, hoping that people would bump into The Roxy everywhere online. Adler likens this strategy to a land-grab: "If you can get to that piece of land first and build your village, so to speak, it's easier to get to the next piece of land and eventually become an influencer." 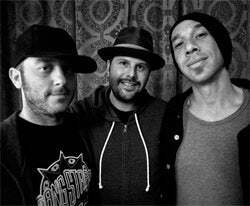 The Roxy's Nic Adler (center) with DJ Adam 12 and Justin Warfield of alt-rock band She Wants Revenge. Five years on, The Roxy boasts arguably the biggest and most robust social media presence of all music venues in North America: 100,000-plus Twitter followers; nearly 420,000 Facebook fans; 20,000 Instagram followers; and a Klout score that ranks it as one of the top 20 influencers in Los Angeles. Year-over-year attendance was up 30 percent in 2011; revenue is back to pre-recession levels; and artists are once again beating down the door for a chance to play on The Roxy's legendary stage. "The Roxy is no longer just a music hall. It's the epitome of what I call a social brand," says Erick Brownstein, a partner at Media Needle, a social media marketing agency in Santa Monica, Calif. "They took the time to do it right, so fans trust them." Brownstein points out that Adler's collaborative, relationship-based social media ethic has influence outside the club's doors and has helped to revitalize the Sunset Strip's entire business community. "Most people hear that social media is a great advertising tool, but it's really a mirror of your business," he says. "If you use it that way, you'll end up having better operations, better employees and a better bottom line."